What is it like to learn that your ordinary, loving father is a serial killer? 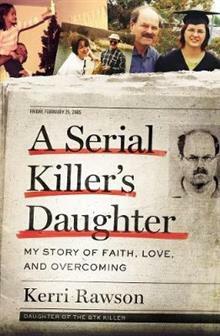 Kerri Rawson, the daughter of the notorious serial killer known as BTK (Bind, Torture, Kill), tells the nightmarish story of that discovery and of her long journey of faith and healing. In 2005, Dennis Rader confessed without remorse to the murders of ten people, including two children-acts that destroyed seven families and wrecked countless lives in the process. As the town of Wichita, Kansas, celebrated the end of a thirty-one-year nightmare, another was just beginning for his daughter, Kerri Rawson. Suffering from unexplainable night terrors for much of her childhood and young adult years, Kerri was unaware of her father's crimes until the FBI knocked on her apartment door, plunging Kerri into a black hole of horror and disbelief. Her dad had been leading a double life. The same man who had been a loving father, devoted husband, church president, Boy Scout leader, and public servant had been using his family as a cover for his heinous crimes since before she was born. Telling her story with candor and courage, Kerri writes for all who carry unhealed wounds and who struggle to protect themselves and their families from the crippling effects of violence, betrayal, anger, and loss. 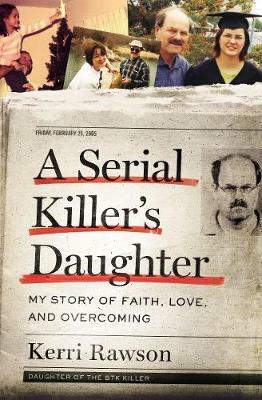 A Serial Killer's Daughter is an intimate and honest exploration of life with one of America's most notorious serial killers. For anyone grappling with how to forgive the unforgivable, rebuild lives in the shadow of death, and hold on to sanity in the midst of madness, Kerri's story will shock, astound, and ultimately encourage.